You won't find a nicer Suburban than this one. It has been babied and pampered by the same owner since 2004. The ideal tow vehicle, it has a 5.3 V-8 and the Trailer Package. The interior is super clean and the exterior is shiny and dent/rust free. Great options include Power Seats ( both sides ), Front and Rear AC/Heat, 3rd Row Seat, Premium Ride Suspension,Running Boards, Locking Differential,and Fog Lights. You will also enjoy the Remote Keyless Entry and the 9 Speaker Stereo System. I haven't seen a Suburban this nice in a long, long time. 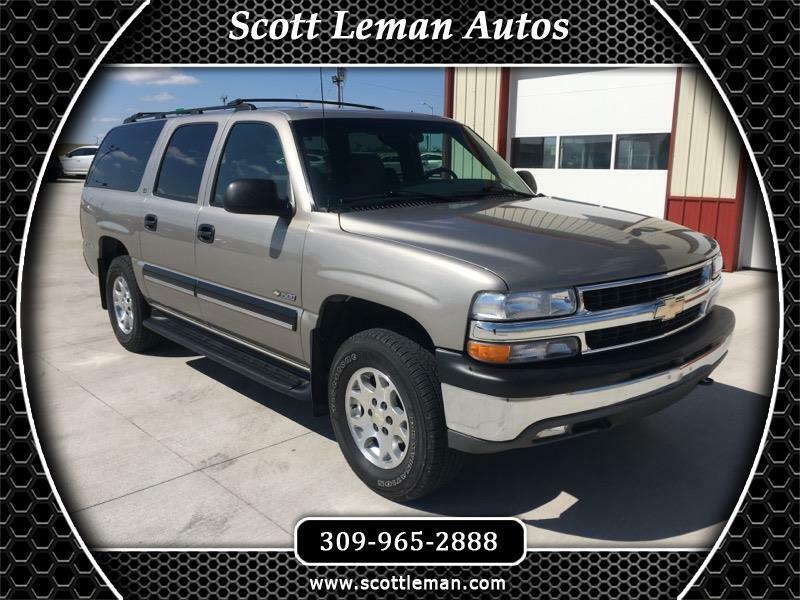 Scott Leman Autos is located in Goodfield Illinois. Message: Thought you might be interested in this 2001 Chevrolet Suburban.